More than 1, 500 people from the community are expected to participate. abu Dhabi Hundreds of kites will dot the skies of Abu Dhabi on Friday as India’s Gujarati community celebrates Uttarayan or Makar Sankranti – the kite flying festival. Makar Sankranti marks the transition of the sun into the zodiac sign of makara (Capricorn) on its celestial path. The day is believed to mark the end of winter and the arrival of spring in India and people fly kites to celebrate the occasion. In Gujarat, Uttarayan is celebrated throughout January. 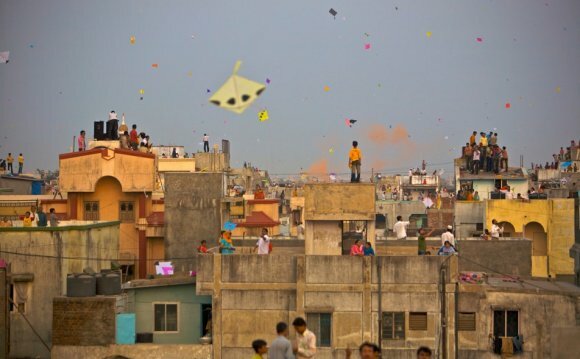 Children as well as adults can be seen perched on rooftops flying kites of various hues and shapes and engaging in kite battles. The Gujarati government organises an annual International Kite Flying festival on Janurary 14 to coincide with Uttarayan, and it attracts hundreds of kite flyers from all over the world. In the UAE capital, the Gujarati Samaj, a social and community organisation of Gujaratis, is bringing alive the tradition by organising the festival. Tushar Patni, president of the Samaj, said more than 1, 500 people from the community are expected to participate. “This is a very nostalgic experience for all of us as it is one of the most important celebrations for Gujaratis, ” said Patni, adding that his organisation has brought nearly 3, 000 kites and firkin (thread rolls) from India ahead of the festival.